The IAM urges members to take part in a moment of silence this Thursday, February 1, 2018 at 10 a.m. EST, the 50th anniversary of the day two sanitation workers lost their lives in Memphis, TN. 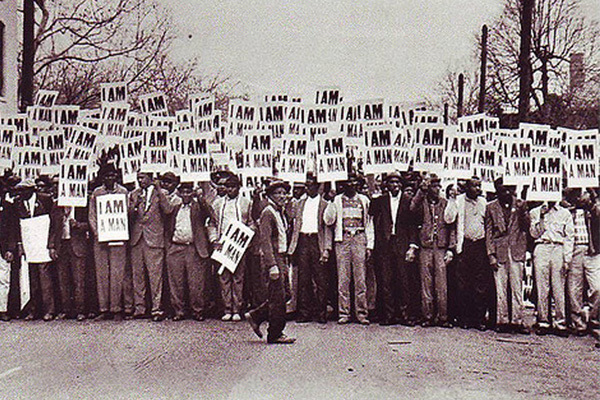 The tragic event touched off the 1968 Memphis sanitation workers’ strike. The entire labor movement will join together to launch the I AM 2018 campaign, a joint initiative with AFSCME and The Church of God in Christ (COGIC) to advance racial and economic justice.